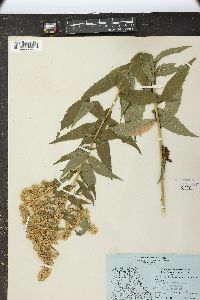 Plants 25-150 cm; rhizomes short to long creeping, forming few- to many-stemmed clones. 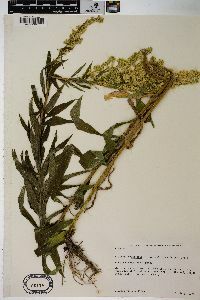 Stems 1-25 (-50+), erect, proximally glabrous or sparsely to moderately canescent-villous, distally densely so. 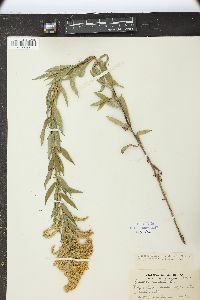 Leaves: basal 0; proximal cauline sessile, blades narrowly to broadly oblanceolate, 100-150 × 15-23 mm, tapering to bases, margins subentire to coarsely sharply serrate, 3-nerved, sometimes obscurely so, apices acute to acuminate, abaxial faces glabrate to sparsely short villous, adaxial glabrous; mid to distal cauline sessile, blades lanceolate to narrowly elliptic, (50-)90-120(-150) × (7-) 11-23(-35) mm, largest near mid stem, then somewhat reduced distally in arrays, margins sharply and coarsely to finely serrate or entire, usually becoming less serrate near arrays, faces glabrous or sparsely strigoso-villous, more so along abaxial nerves, distalmost (below arrays) sometimes sparsely to moderately minutely stipitate-glandular. 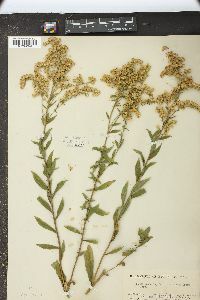 Heads 14-800+ , in sometimes secund, broadly thyrsiform or secund pyramidal arrays, usually leafy proximally, branches ascending or sometimes arching-spreading, leaves often minutely stipitate-glandular. 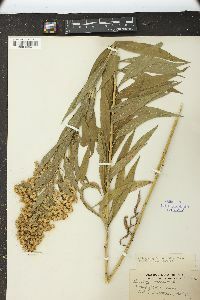 Peduncles 1-4 mm, villoso-hirtellous, sometimes minutely stipitate-glandular; bracteoles 0-2 , linear-lanceolate, sometimes minutely stipitate-glandular. 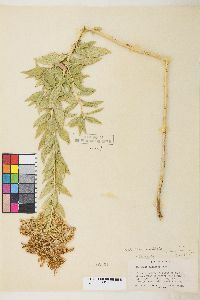 Involucres campanulate, (2-)2.3-3.8(-5) mm. 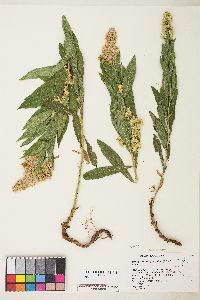 Phyllaries in 3-4 series, deltate-lanceolate, unequal (outer 1 / 4 - 1 / 2 length of inner), margins sparsely villoso-ciliate, sometimes minutely stipitate-glandular apically or basally, apices acute to attenuate, glabrous or sparsely to moderately, minutely stipitate-glandular apically, sometimes over much of faces. 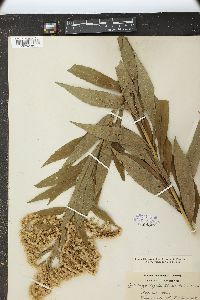 Ray florets (7-)10-16(-22); laminae (0.5-)0.9-1.6(-2.2) × ca. 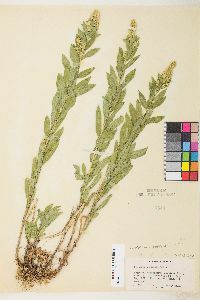 0.2-0.5 mm. 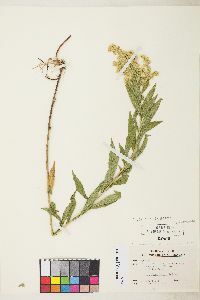 Disc florets (2-)5-9(-13); corollas ca. 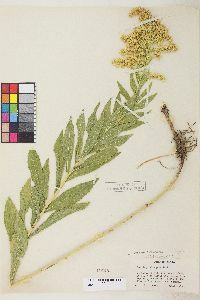 (2-) 2.5-3.8(-5) mm, lobes (0.4-)0.6-1(-1.4) mm. 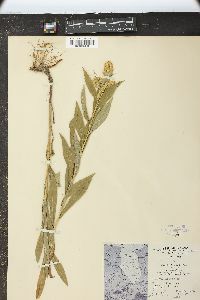 Cypselae (narrowly obconic) 0.6-1.2 mm, strigillose; pappi 2.5-3.3 mm. 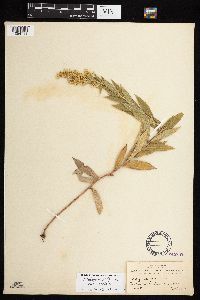 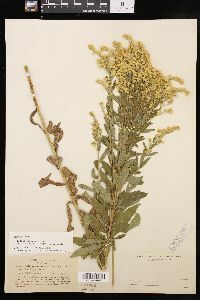 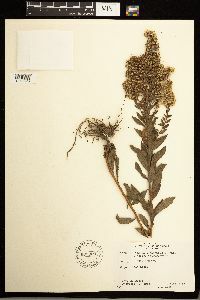 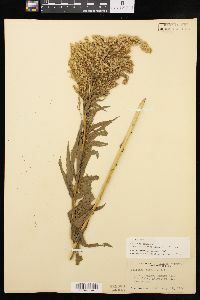 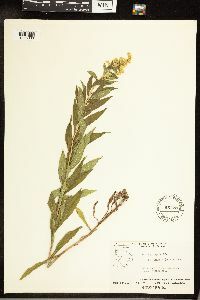 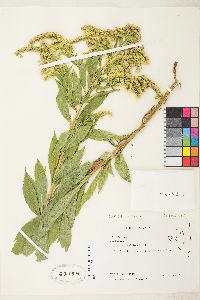 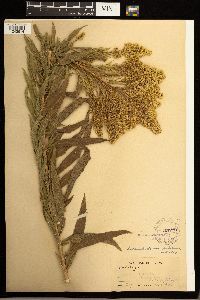 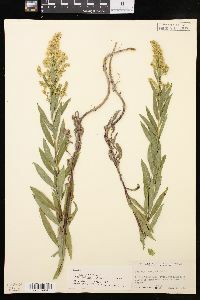 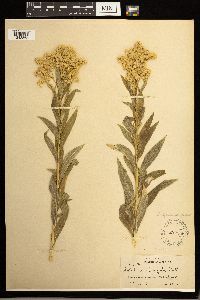 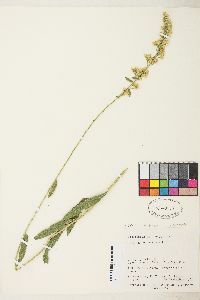 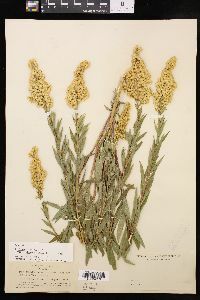 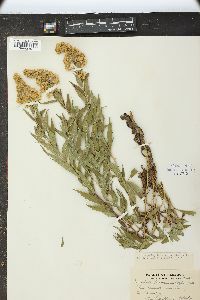 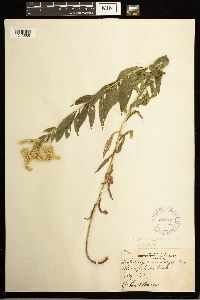 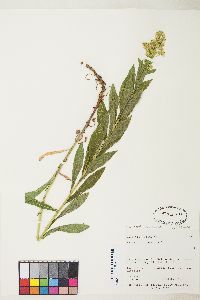 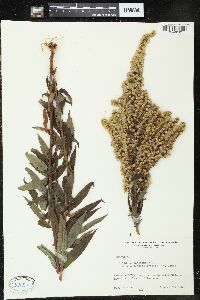 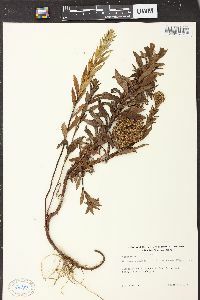 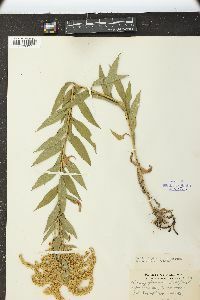 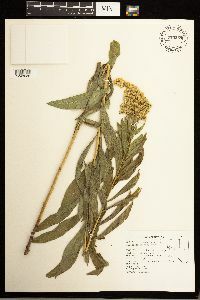 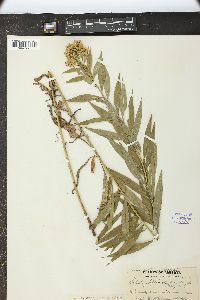 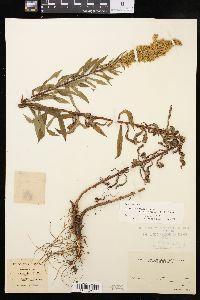 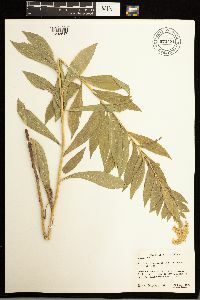 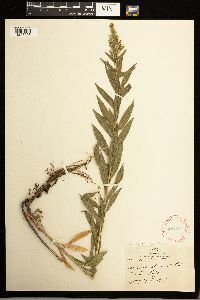 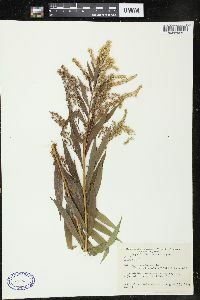 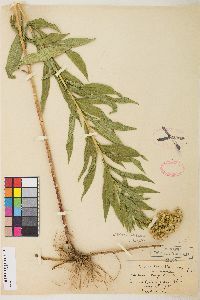 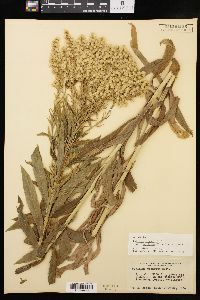 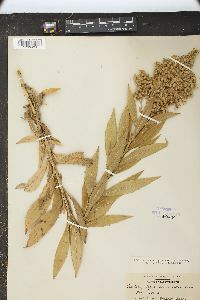 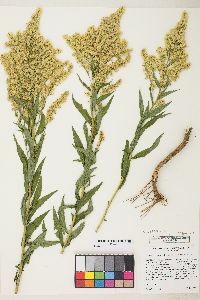 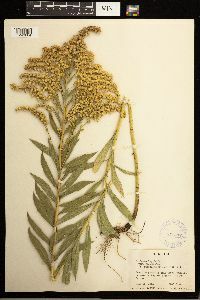 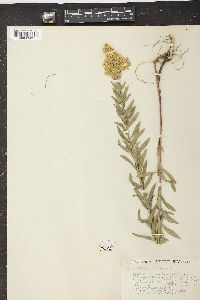 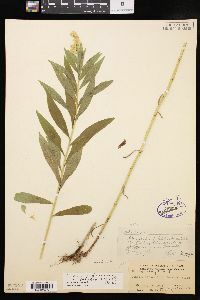 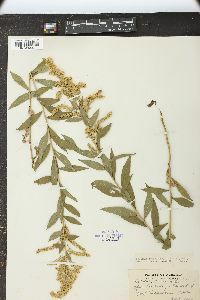 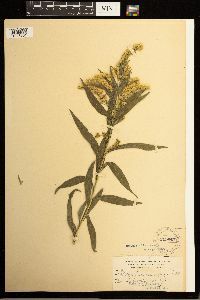 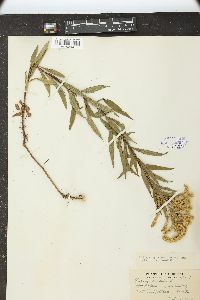 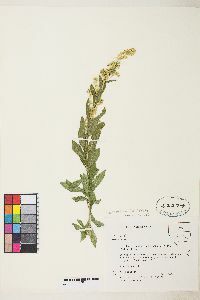 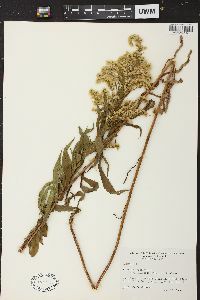 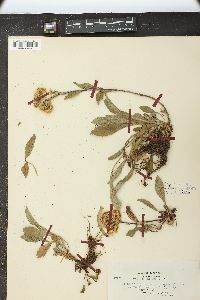 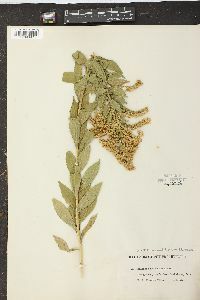 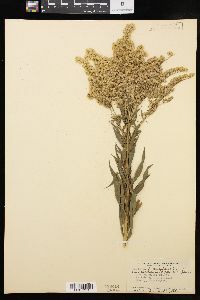 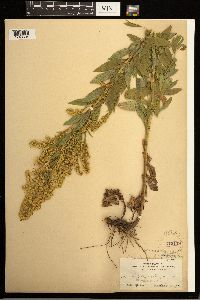 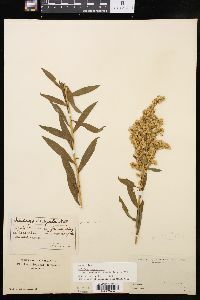 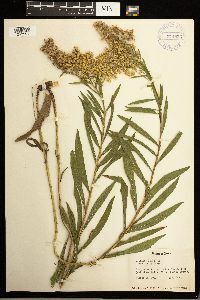 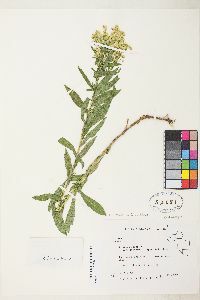 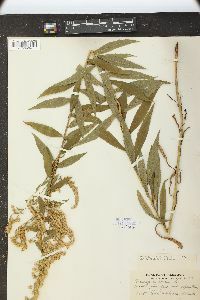 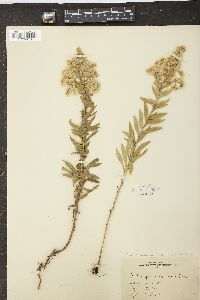 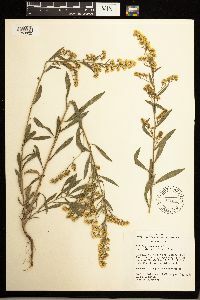 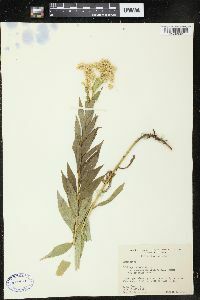 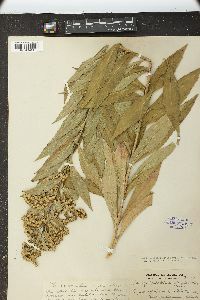 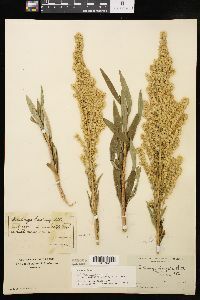 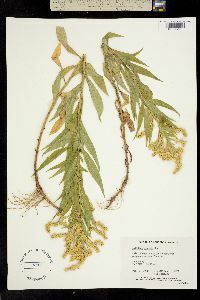 Solidago lepida is the only member of subsect. 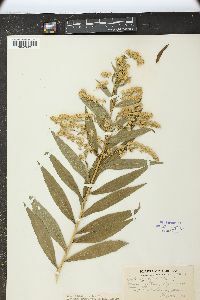 Triplinerviae that is nearly always minutely, sometimes sparsely, stipitate-glandular in the arrays. 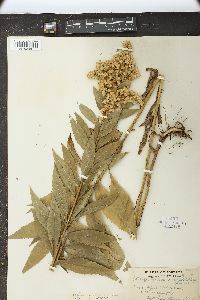 These glands can be very small and visible only with 30-70× magnification. 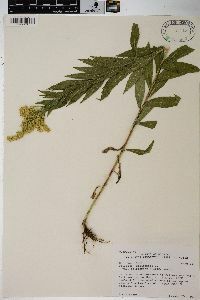 The enlarged head of the stalked gland may be little bigger than a pollen grain. 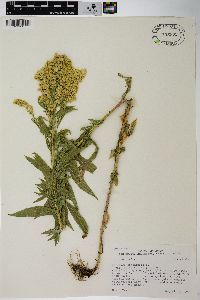 The species occurs in the west from the Aleutian Islands and central Alaska south just into northern California, and in the Rocky Mountains to Arizona and New Mexico. 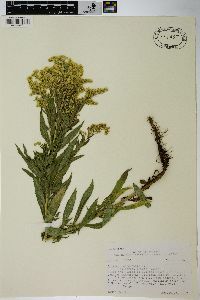 Its range extends across Canada to Newfoundland, the Gaspé (Quebec), and northern New Brunswick. 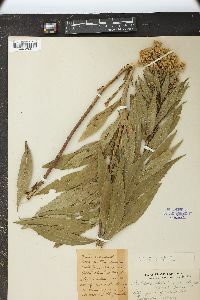 It also appears to be introduced at scattered locations across the Canadian prairies.